Nutanix agreed to acquire Minjar, a start-up with development offices in Bengaluru, India that offers cost control and visibility services for workloads in public clouds. Financial terms were not disclosed. Minjar' Botmetric service SmartAssist Assurance and SmartAssist Managed Cloud services help enterprises embrace the cloud effectively and optimize their multi-cloud environments for performance and cost. Nutanix also plans to use Minjar’s technology to bolster its Nutanix Calm automation and lifecycle management product, as well as Xi Cloud Services, a native extension to the Nutanix Enterprise Cloud OS software. Viasat introduced its fastest satellite-based home Internet service for the U.S. market to date, boasting nation—with downlink speeds up to 100 Mbps. The new Viasat service also offers unlimited data plans. The new service is powered by the ViaSat-2 satellite system, which was launched on June 1, 2017 by Arianespace. The Ka-band satellite was built by Boeing. "We've upped the game for satellite internet by delivering a new service that gives consumers what they want: more data, faster speeds and better entertainment experiences across all device types," said Mark Dankberg, Viasat's chairman and CEO. "Today's service launch is an important step forward in Viasat's mission to deliver faster internet anywhere. 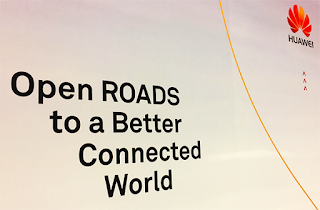 The innovations we're making across our satellite system allow us to do extraordinary things, from moving the satellite industry up-market by delivering premium services, speeds and plans that give consumers new choices in their internet service provider, to helping bridge the digital divide in the U.S. today." Viasat also confirmed that it is already building its next-generation high-capacity satellite system—ViaSat-3—which is expected to enable high-quality, high-speed internet access for billions of people and emerging markets worldwide. The ViaSat-3 system will offer global coverage with only three satellites, each designed to support over 1-Terabit per second (Tbps) of network capacity, further expanding the reach of 100+ Mbps broadband access. The first ViaSat-3 class satellite is expected to go into service in 2020 for the Americas, with the second satellite for Europe, Middle East and Africa (EMEA) expected to launch approximately 6-months later. 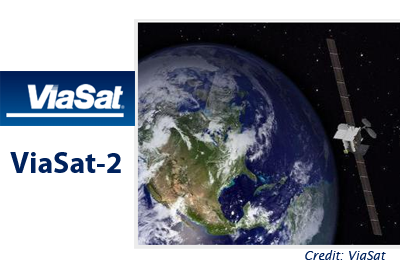 A third ViaSat-3 class satellite is planned for the Asia Pacific (APAC) region. TE Connectivity (TE) introduced its zQSFP+ stacked belly-to-belly cages designed for high-density switches with 48 or 64 silicon ports. The cage supports a single printed circuit board (PCB) architecture (versus two PCBs) in each line card. The company said this new design addresses the requirements for higher density switches, including Open Compute Project (OCP) reference designs. The cages support up to 28G NRZ and 56G PAM-4 data rates to achieve faster speeds in these high-density switches. TE's zQSFP+ stacked belly-to-belly cages are dual-sourced with Molex and are drop-in replacements. "These new zQSFP+ cages allow us to design denser switches while reducing costs by using just one PCB per line card," said Melody Chiang, product manager at Accton. "TE continually supports our efforts to design faster, denser switches, and this belly-to-belly configuration is just the latest example." As part of its global initiative to support ICT skills development, Huawei announced a partnership with Nanyang Polytechnic (NYP) to set up the first ICT Academy in Singapore. The not-for-profit academy, titled Huawei Authorised Information Network Academy (HAINA), allows NYP to deliver Huawei Certification training to their students. The program is expected to benefit about 300 students at NYP's School of Engineering and School of Information Technology in the initial term of two years. 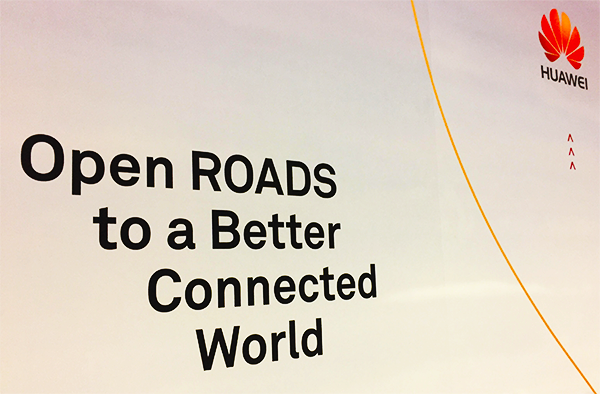 Huawei noted that it is currently cooperating with over 350 universities to open Huawei ICT academies around the world, with about 200 in China. The top three Chinese Cloud service providers – Alibaba, Tencent, and Baidu – are forecast to outpace the top four U.S. Cloud providers – Google, Amazon, Microsoft, and Facebook – in server growth by 2022, according to a new report from Dell'Oro Group. Over the same period, Small/Medium Businesses (SMB) are accelerating their migration to Public Cloud, while large Enterprises – i.e., Fortune 1000 companies, which includes the Private Cloud – will revert to on-premises data centers. Server revenue is forecast to grow at a two percent five-year compound annual growth rate while server shipments are forecast to grow at four percent. The top four U.S. Cloud providers are expected to continue to comprise approximately half of the server shipments over the forecast period. However, the growth rate declines as data centers increase in scale and efficiency. The top three Chinese Cloud providers compose about 10 percent of the U.S. top four server shipments and we expect that portion to double by 2022. “The Cloud providers have been rolling out new data centers at a pronounced rate, driving Cloud server shipments,” said Baron Fung, Senior Business Analysis Manager at Dell’Oro Group. “Furthermore, given the weakness in server shipments to Enterprises/Premises data center, we believe we are well on track to hit our projected crossover point as server shipments to the Cloud eclipse those to the Enterprise by the end of 2017. We expect server shipments to SMB to lead the decline as this sector embraces the Public Cloud. On the other hand, we expect shipments to large Enterprises to stabilize, and begin to grow modestly by the latter half of our forecast period,” Fung explained. 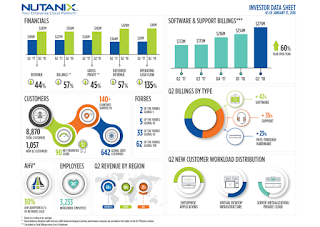 Nutanix reported revenue of $286.7 million for its second quarter of fiscal 2018, up 44% year-over-year from $199.2 million in the second quarter of fiscal 2017, and reflecting the elimination of approximately $14 million in hardware revenue in the quarter as the company executes its shift toward increasing software revenue. Billings for the quarter amounted to $355.9 million, growing 57% year-over-year from $227.4 million in the second quarter of fiscal 2017. There was a GAAP gross profit of $178.2 million, up 46% year-over-year from $122.4 million in the second quarter of fiscal 2017, and a non-GAAP gross profit of $182.2 million, up 45% year-over-year from $126.0 million in the second quarter of fiscal 2017. 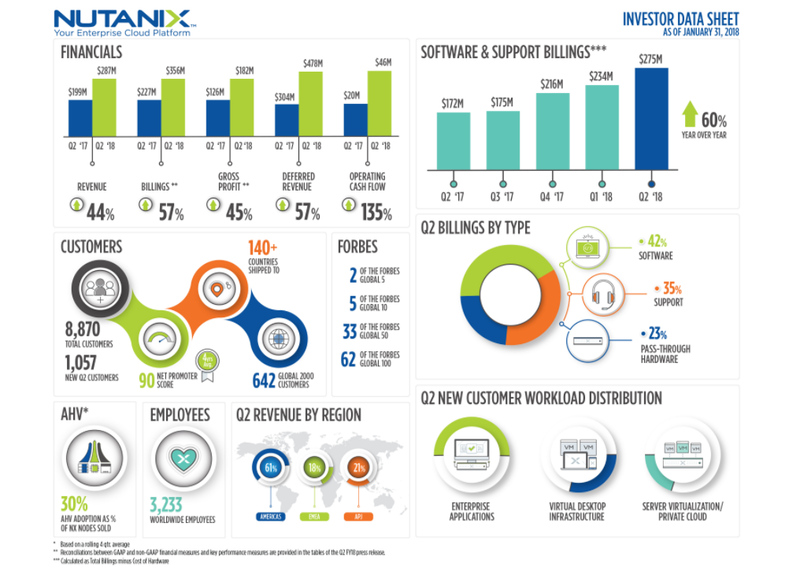 Nutanix ended the second quarter of fiscal 2018 with 8,870 end-customers, adding a record 1,057 new end-customers during the quarter. Signed 5 Software and Support Deals Greater than $3 Million: Nutanix signed five software and support deals worth more than $3 million, of which three were worth more than $5 million during the quarter, all with Global 2000 customers.